I’m so excited to finally get this out there! Here’s my first OFFICIAL Quilt Block Pattern! While I have designed mini patterns for the Feature Me Everyday Tote, this is the first time I created a full size pattern that can be turned into a quilt and I am so pumped to tell you all about it! When Kate at The Quilters Bolt decided to participate in Row by Row, I volunteered to create a pattern. She sent me her inspiration and off I went designing something super fun! We knew we wanted the theme “Sew Musical” to be a little more modern and we were inspired by Elizabeth Hartman‘s animals. 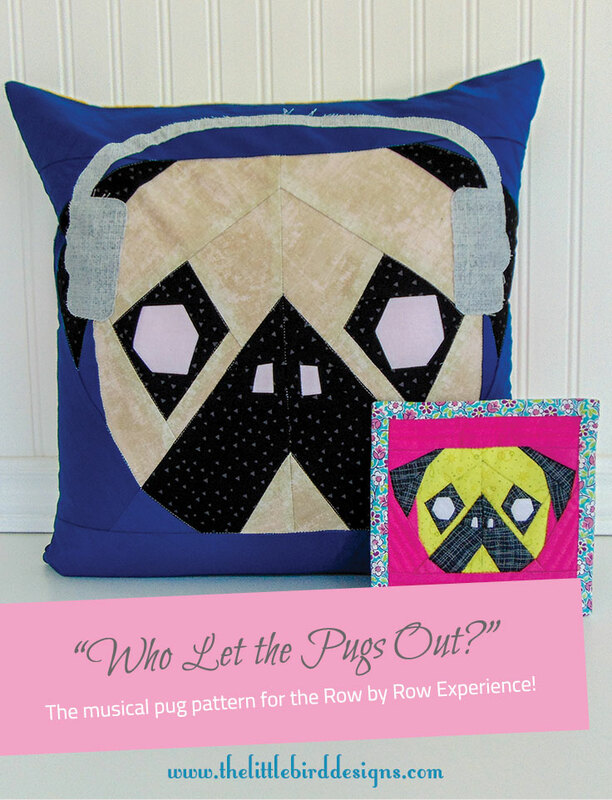 Out from all this inspiration came our pattern “Who Let the Pugs Out?”! The specifications for this years Row by Row gave us so many options for block sizing’s so we opted for the 18″ square. This really gave the design a chance to shine plus made kitting the pattern much easier! The block is Foundation Paper Piecing and can easily be made by anyone who’s dabbled in paper piecing before! Due to the size, most of the pieces are rather large so there is much less fiddling with tiny spots! My son picked out bright rainbow zigzag fabric for the pillow backing and we popped a zipper across the bottom! This pillow is nothing compared to the full quilt by Kate and Barb, they knocked it our of the park with this pattern! The ladies were so unbelievably eager to make up this quilt block and blew me away with how quick they put it together! 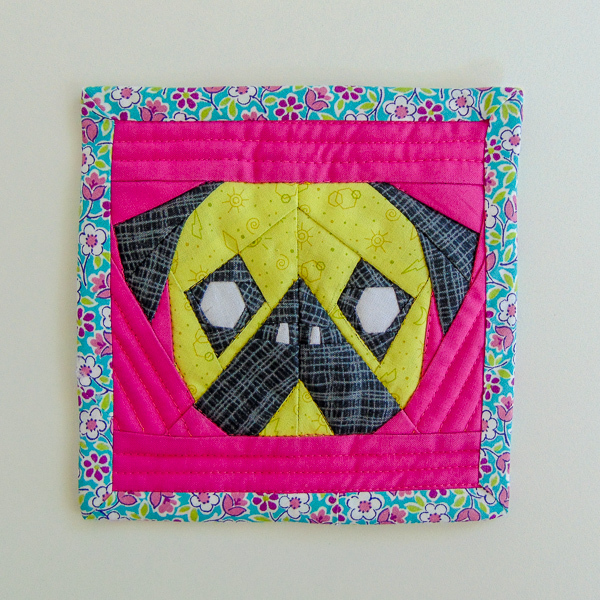 I know that paper piecing isn’t always Barb and Kate’s favourite thing but I hear they loved making these pugs 😉 Just look at all those colours! Philipa at Kawartha Quilting Systems was amazing and did music note shapes for the longarm quilting. It’s the perfect addition to this quilt! The final quilt looks gorgeous hanging at the shop! 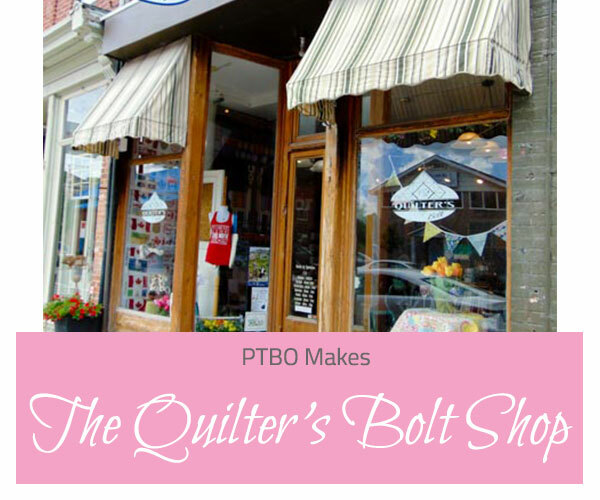 While Row by Row is on, you can grab the block pattern for free at The Quilter’s Bolt OR purchase a kit with a colour version of the pattern and fabric for one block! This next little block was inspired by Lesley, berry_birdy on Instagram. 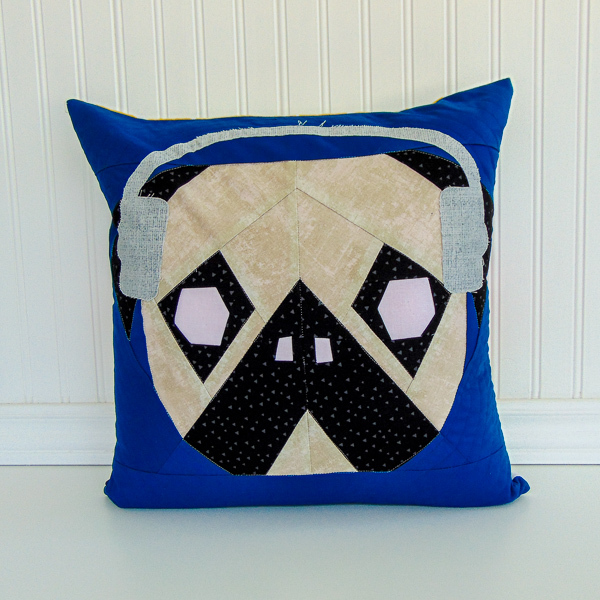 She ran a Micro Mini Sew-Along a few months ago and I knew that this pug had to be made extra mini! So I present to you my Pink Lemonade Pug! She is a whopping 6″ Square and my fave little mini ever! This Micro Mini block is also Paper Pieced and will be available as an add on pattern in November. She’s a wee bit of a challenge to make because those nostril piece are real teeny! I loved making it and think every quilt block should be made on a teeny scale! So what do you think? Will you be going on a Row by Row adventure to The Quilter’s Bolt to snag this block for free? We’ve already seen it in one completed quilt so far and cannot wait to see more! As per Row by Row Rules, we cannot sell the pattern online or in store until November 1st. 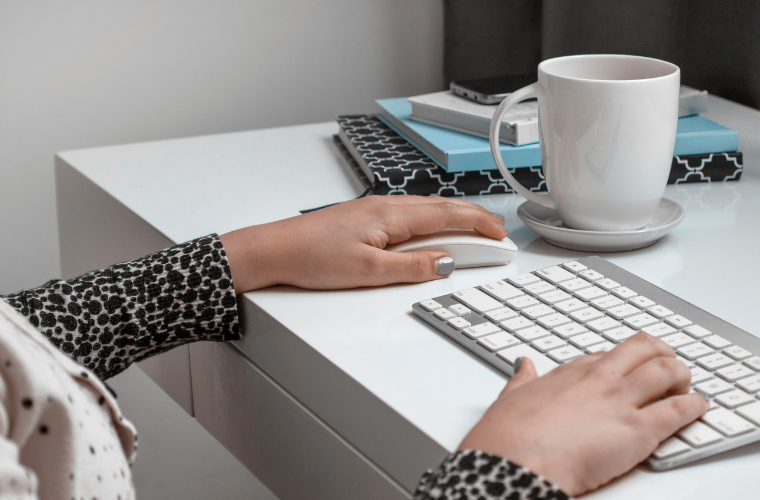 If you want to be the first to know when it’s available, sign up below. When the day comes, I’ll send you the link to purchase either the PDF or Print version! 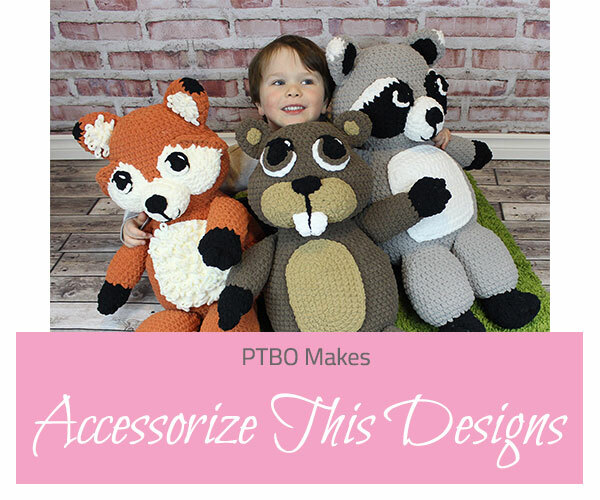 The Pattern is available now! Head to my shop to grab it today! I’m so excited to see these pugs out in the real world so please make sure to tag me @lilbirdsdesign and @thequilterbolt on Instagram so we can watch our little pack come to life! 4 Sewing Projects Kids Can Sew! It was such a fun project! I can’t wait to make more!!! !